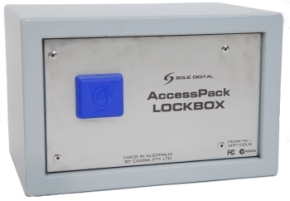 AccessPack is an equipment access control system that can be fitted to any electrically powered device, even mobile and battery powered equipment like forklifts and remote controls. 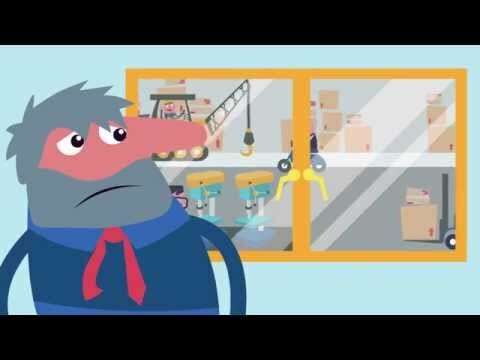 Using Smartcard technology, AccessPack physically prevents machinery from being used by people who are not licenced and authorised to operate it. To ensure accountability, AccessPack records who accessed the equipment and when. Hazardous Machinery will negatively impact the business if used inappropriately. Failure to comply with OHS legislation may result in legal action against your company. 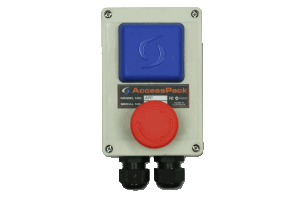 AccessPack can be fitted to any equipment powered from 5 to 415V, AC or DC, so you can use the same access control system for all the equipment on your site or in your plant and operators only need to carry one card. It is even compatible with some building access cards. 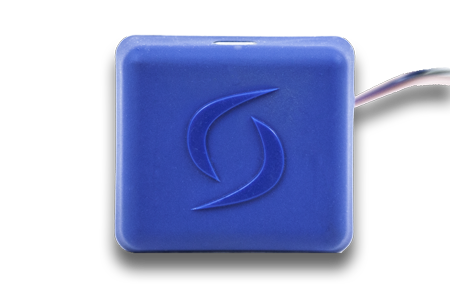 Storage of the last 200 users and their start/stop times, which can be downloaded wirelessly for continuous tracking. The ability to set recertification/maintenance intervals, which can also optionally lock the equipment out if exceeded. 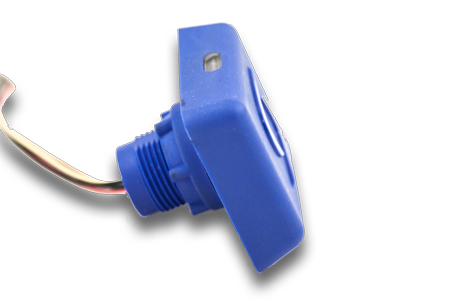 Works with any electrically powered equipment running on 5 to 415V, AC or DC. Compatible with site access systems. 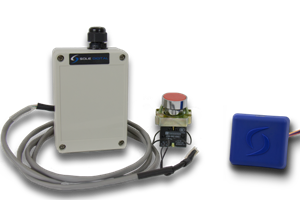 Seamless integration with various data logging products. Simple tracking of user certification status and expiry dates. See runhours of all AccessPack devices within range from any Bluetooth device. Software to manage user card administration via drag and drop operation is web-based and very simple to use. Australian manufacturer extended hours support available. Applications Secure and log access to Keys, gas testers, calibration sources, tools, small crane radios. Applications Secure and log access to radiation blankets, larger gas testers, calibration sources, tools. Reader kit is supplied with the first year's subscription. Programmable RFID card for use with AccessPack. Note: Custom artwork can be arranged at no additional cost although minimum order quantities apply. Long range USB Bluetooth modem for configuring CASWA/Sole Digital devices using a laptop computer (laptop not supplied). Card holder for 2-3 cards that are locked in place by a semi-removable tab. Comes with a lanyard. 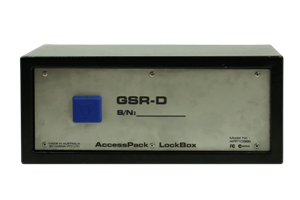 The new AccessPack Puck enclosure is made of glass filled nylon (Tested in accordance to UL94). Prior to May 2012, the enclosure was made from cast epoxy resin. Dimensions of the AccessPack PUCK are provided in the following diagram. # Extended operation at maximum temperature will reduce device life. Hey, where did all the settings go? Starting with FSU version 14.2 we have introduced a simpler way to configure AccessPack. There is a now a preset for each kit, just select it and you're good to go. But don't stress, if you still want to get in a tweak some settings, just press CTRL-A. An AccessPack device is fitted to the machine and programmed with the machine's information and location. Machines will only work when the user swipes the AccessPack with a valid RFID card. Users are automatically logged off when equipment is stationary, idle or stopped. What sorts of equipment can I fit AccessPack to? Anything that runs or starts from electricity (including hydraulics) and has a start, stop, or power switch. This includes battery powered equipment and mobile machinery. Is there anything I can’t fit AccessPack to? 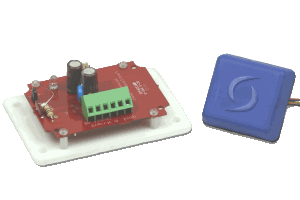 The minimum requirements for running an AccessPack is 30mA at 5V. So some battery equipment that uses 2 x AA batteries (e.g. 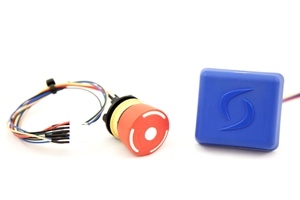 some small crane radios) can’t be fitted with AccessPack as there is not enough power to make a Bluetooth connection. Also, the batteries are depleted so quickly that it makes the device unusable. The good news is that in almost all circumstances, inexpensive alternatives are available that have bigger battery packs. The device must also use some kind of electrical start. 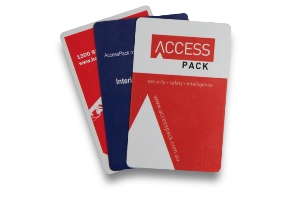 How does AccessPack differ from other access control systems? Traditional access control hardware relies on communication between the access control point and a central management computer. 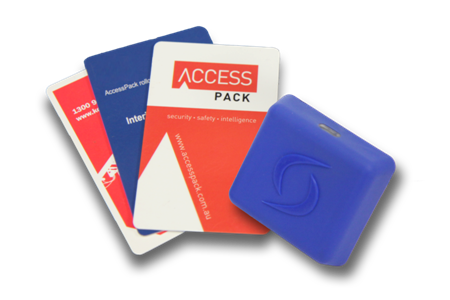 AccessPack on the other hand is a standalone system with all the information required to grant/deny access contained on the user’s RFID card. Thus it also works on remote and mobile plant, equipment for which it just isn’t feasible or possible to have a permanent connection (be it wireless or wired) to a central database. We already have access cards for site access, can we use them with AccessPack? Yes, if your cards use the same technology as AccessPack (MIFARE 14443 A/B) then we will work with your vendor to integrate AccessPack. If your cards use different technology, then your existing vendor can supply you with dual technology cards that work seamlessly with both systems. How does AccessPack detect when someone has stopped using the equipment? 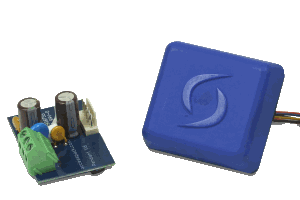 AccessPack has programmable motion sensors and some very clever programming to tell when a human is no longer moving the equipment. Additionally, AccessPack can wire into Stop button pushes/floor pressure mats/light beams/seat switches etc... to detect when the operator has moved away from the equipment. Can I use AccessPack to manage recertification requirements? Yes, all access permissions can have an associated expiry date. The AccessPack hardware has a calendar chip and will reject a card if a permission has expired. AccessPack has a standard 22mm threaded shank. 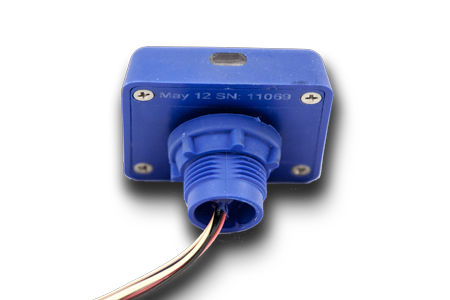 It is a drop in replacement for most standard industrial switches. After that, you just give it power and connect it to whatever switch circuit you want to control. Can I mount the AccessPack outside? Yes, the AccessPack puck is rated to IP65. Everything else is located internally within the equipment being protected. Do I need to know up front what equipment I might want to fit AccessPack to? No, but it helps. You can definitely order and commission units one at a time if you want to. Identifying as many potential AccessPack candidates as possible when setting up the first AccessPack can significantly reduce the time to commission future units. Identifying groups of equipment and users will make administration easier. You will need to know what type of equipment you are going to fit the AccessPack to prior to delivery. How do I know which model to order? 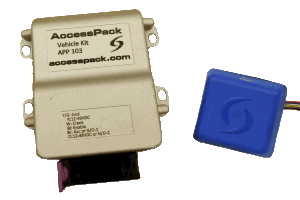 AccessPack models vary only in the additional cable assembly or hardware board used to wire the device to the protected equipment’s power supply and control circuitry. Details of currently available models can be found on the AccessPack webpage. You can also fill in the Configuration Sheet, email it to tech@caswa.com and we’ll advise you on which model suits your equipment. If none of these current models seem to suit, contact us. We almost certainly will be able to come up with a new variant that meets your requirements. How do I configure AccessPack devices? AccessPack can be configured wirelessly using a laptop fitted with a Link-2 long range Bluetooth modem and running our FSU application. 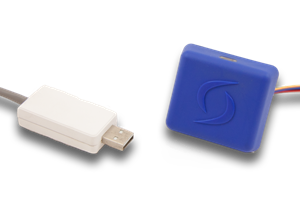 We don’t recommend using existing Bluetooth modems in your PC or smart-phone as these aren’t sufficiently reliable for configuration purposes. 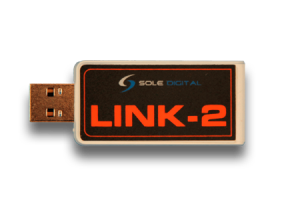 The good news is that we supply one free Link-2 with your first order and the latest FSU software is always available for free download from the AccessPack webpage. How do I get information from the AccessPack device? Some information (e.g. run hours) is available by simply making a Bluetooth connection to the device from your smart-phone. To access the list of the last 200 users you currently need to connect to it with a laptop, connect to it using the Link-2 and FSU application and then download the data. Smart-phone apps for Android and Iphone will be coming soon to allow you to view and download data without a laptop. How do I configure User cards? 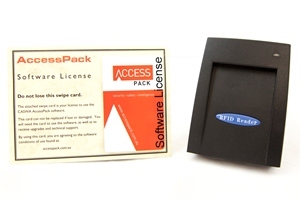 You will need a licence of the AccessPack software manager (which comes with a card reader in your first year) and a computer connected to the internet. Programming cards is then simple, using drag and drop functionality. What if I lose a card or it is stolen? Programming a new card only takes a couple of minutes. However, we recommend that you always program an expiry date for every card so that it if it is lost or stolen, the card will eventually expire. When you replace a lost card that has not yet expired, you should give it a slightly different name so you can always differentiate between the original lost/stolen card and a new one. Many customers chose to print or attach the user’s photo to the card so that it is obvious when someone is using a stolen card. Can I use AccessPack in hazardous areas? AccessPack is not currently certified for use in hazardous areas. However, it can be installed in a suitable glass fronted enclosure and card swiping will still work. 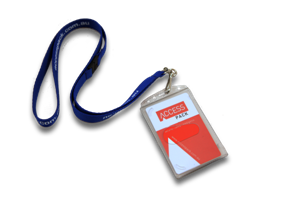 We have tried to make AccessPack as tough and reliable as possible. Check out our YouTube videos to see how we tested our prototypes. But let’s be realistic. You will never improve reliability by adding complexity. However, the additional uptime gained by preventing access to untrained operators (and from general users taking greater care with the equipment) far outweighs any downtime due to failure of the AccessPack. 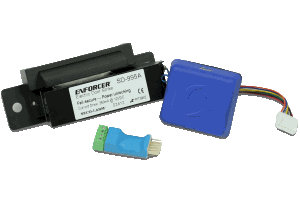 The failures we have seen tend to be caused by equipment being dropped violently or when the power supply is subjected to very large voltage spikes. What frequencies does AccesSPack use? 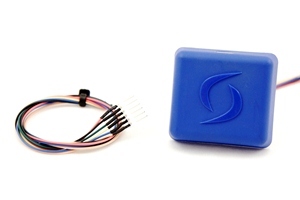 The Bluetooth radio uses 2.4GHz and the RFID is at 13.5MHz (very short range).